(a) Coat the shift solenoid valve SL4 and bolt with ATF. 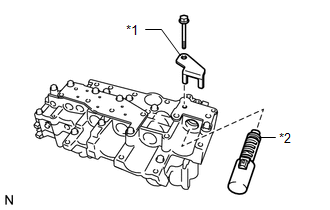 (b) Install the shift solenoid valve SL4 and lock plate to the valve body assembly with the bolt. (a) Coat the shift solenoid valve SL3 and bolt with ATF. 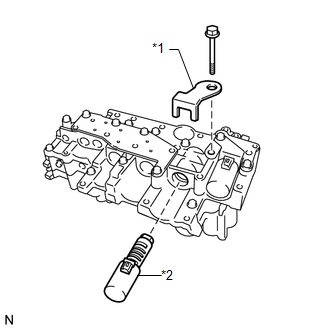 (b) Install the shift solenoid valve SL3 and lock plate to the valve body assembly with the bolt. (a) Coat the shift solenoid valve SL1 with ATF. (b) Install the shift solenoid valve SL1 to the valve body assembly. (a) Coat the shift solenoid valve SL2 and bolt with ATF. 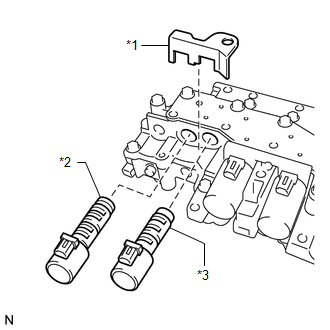 (b) Install the shift solenoid valve SL2 and lock plate to the valve body assembly with the bolt. (a) Coat the shift solenoid valve SLU with ATF. 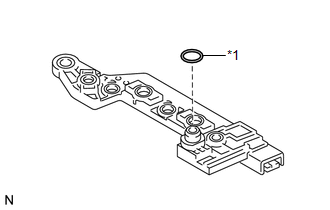 (b) Install the shift solenoid valve SLU to the valve body assembly. (a) Coat the shift solenoid valve SLT with ATF. 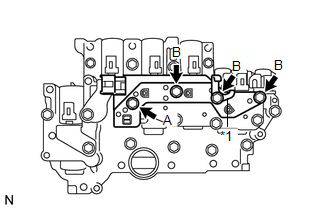 (b) Install the shift solenoid valve SLT and lock plate to the valve body assembly. (a) Coat the shift solenoid valve SL with ATF. 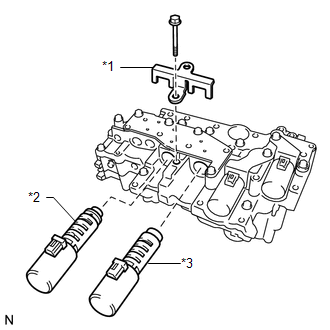 (b) Install the shift solenoid valve SL to the valve body assembly. (a) Coat a new O-ring with ATF and install it to the ATF temperature sensor assembly. (b) Coat the 4 bolts with ATF. 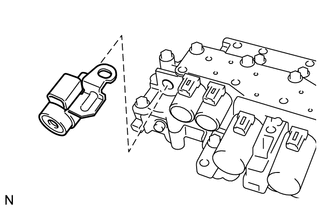 (c) Install the ATF temperature sensor assembly and clamp to the valve body assembly with the 4 bolts.